Use TURBINE as the only sound source without adding additional instruments, generators or SFX. Please make sure that you don’t use copyrighted video material. You can shoot a short video yourself or use a Creative Commons video. The images are NOT the deciding factor. We’re all about sound! 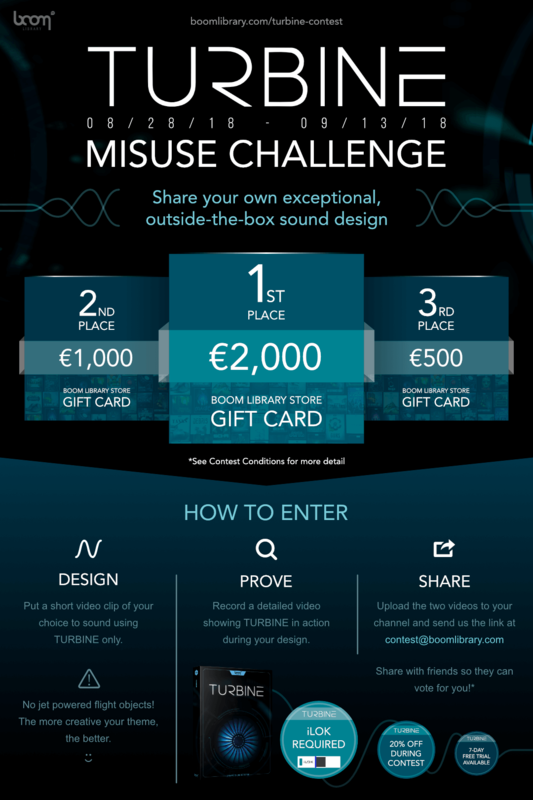 We are happy to announce the winners of our Turbine misuse challenge 2018.